Today’s consumers are realizing that both online and in-store shopping offer key advantages and drawbacks, and they want to shop wherever and whenever they want with the benefits of both the digital and physical experience. As retailers look for ways to differentiate in a highly competitive market, new research from retail management consulting firm BRP reveals that three customer engagement strategies—personalization, mobile experience and real-time retail—are critical components for optimizing the shopping experience. According to the firm’s new consumer study, 79 percent of respondents said personalized service from a sales associate was an important factor in determining at which store they choose to shop. 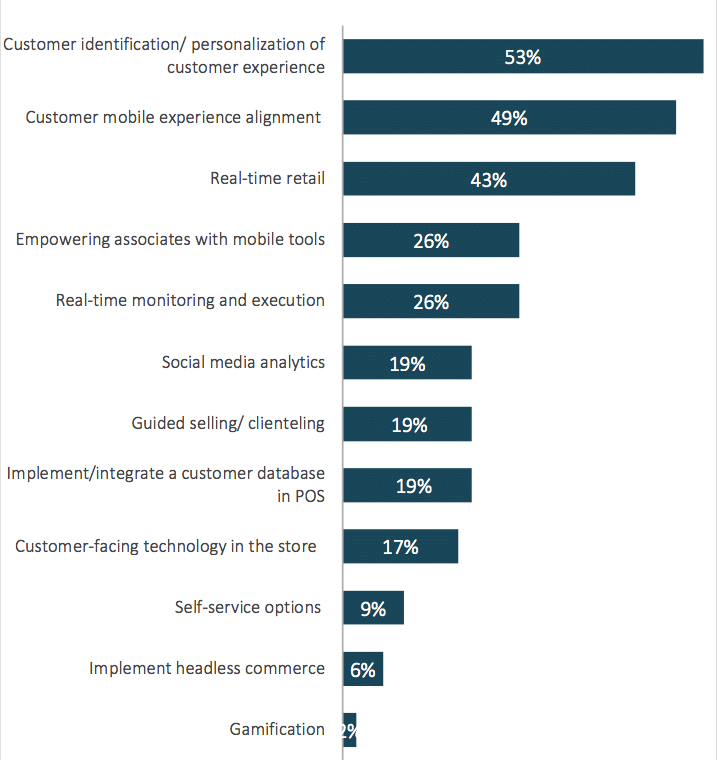 Retailers understand the importance of personalization as 53 percent are focused on this for 2019, the 20th annual POS/Customer Engagement Benchmark Survey finds. The survey of top North American retailers offers insights into retailers’ current priorities and initiatives as digital and physical retail environments converge to facilitate a seamless experience across channels. Download the POS/Customer Engagement Benchmarking Survey here. Richard Carufel is editor of Bulldog Reporter and the Daily ’Dog, one of the web’s leading sources of PR and marketing communications news and opinions. He has been reporting on the PR and communications industry for over 12 years, and has interviewed hundreds of journalists and PR industry leaders. Consumers want brands to take stands—are investors following suit? Every organization (yes, even yours) should be prepared with a plan of attack for unexpected curveballs. Get the top tips in crisis communications from industry veteran Ron Sachs.